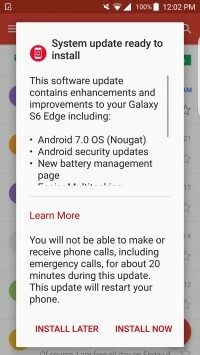 Almost two weeks ago Verizon started sending out the update to Android 7.0 Nougat for its versions of the Samsung Galaxy Note5 and S6 edge+.And today it looks like it's finally time for those devices' slightly older and smaller flagship siblings to be put through the same treatment. We're talking of course about the Galaxy S6 and S6 edge,now more than two years old - but still receiving big OS updates. That said, this is likely to be the last major new Android version they will get. 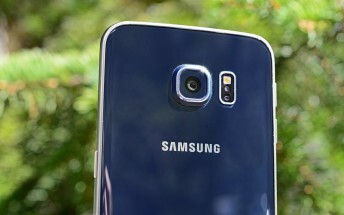 Although Verizon is yet to publish its usual documentation for this new release, owners of the S6 and S6 edge are already reporting that they're seeing the update notification. The screenshot you can see to the left comes from such a report. The changelog doesn't say much, except that aside from all of the improvements built into Android 7.0, you're also getting security updates and a new battery management page.